When he joined the governorship race in Akwa Ibom State on the platform of the Peoples Democratic Party, PDP, in 2006, Nsima Ekere brought freshness, excitement, instant connection with the youths and a troove of ideas on how to build a people-centred government that were lacking in the politics of the state. He was the youngest aspirant and his background as a successful businessman with strong social investments were direct challenge to the politics-as-usual of his home state. Indeed, in a state where government is the only business, Ekere’s pledge to raise world-class entrepreneurs resonated positively everywhere but it also ruffled the feathers of vested interests and political rent-takers. When he lost that primaries and was later picked as running mate to the eventual winner, Obong Godswill Akpabio, the system revolted, forcing him to withdraw his candidacy. He returned in 2011, running as deputy to Akpabio. But his tenure as the state Deputy Governor was short-lived as he resigned on October 31, 2012. His decision to contest the governorship in 2015 received a major boost being an indigene of the Akwa Ibom South Senatorial District whose turn it was to produce the governor. Ekere’s plan did not find accommodation in Akpabio’s calculations. Whereas, Akpabio’s intendment was to pick his successor from Akwa Ibom South senatorial zone, Udom Emmanuel, hurriedly drafted into politics as Secretary to the State Government, and not Ekere, was his preferred choice. Both men hail from neighbouring local government areas; while Ekere is from Ikot Abasi Local Government Area, Emmanuel, who is now the incumbent governor, is from Onna Local Government. Ekere, along with other aspirants were shut out of the PDP primaries and eventually out of the party. He was to pitch his tent with another influential politician in the state, Umanah Okon Umanah, in the All Progressives Congress, APC. Both of them had worked assiduously together to transform the APC in Akwa Ibom. He had actually supported Umanah in the 2015 governorship election in order to upstage PDP’s Udom Emmanuel. Their effort had, however, fallen through. Interestingly, about six years after his ill-fated governorship odyssey, Ekere is once again engrossed with the same enterprise, this time round on the APC platform. The statewide calculations and permutations remain the same: Akwa Ibom South Senatorial zone is to produce the governor of the state for eight years since the other two zones, to wit: Akwa Ibom northeast and Akwa-Ibom northwest senatorial zones had already produced governors for two terms of eight years each from 1999 to 2015 with Architect Victor Attah and Godswill Akpabio respectively. Ordinarily, Emmanuel Udom should have been allowed to effortlessly retain his mandate for a second term that will terminate in 2023 to pave way for the governorship position to rotate to the northeastern zone of the state. However, his below-par performance, growing unemployment in the state ranked second highest in the country and rapidly decaying public infrastructures, have prompted widespread calls for change in a state where two terms have almost becone standard for all governors. It is Ekere’s audacity at disruptive politics that has understandably excited the Akwa Ibom polity ahead of the 2019 governorship election. The concern has been the fate of the statewide zoning arrangement if Ekere wins. Will he serve for only one term and allow power to rotate to the northeastern zone? At a recent meeting with leaders of the northeast zone, Ekere had assured he would not deny them their rights come 2023. In fact, he has said repeatedly that what one cannot achieve in four years as governor, he cannot achieve in eight, which has been interpreted to mean that he can deliver on his vision in one term of four years. As it is, the politics of 2019 and journey to 2023 are primary for now. What happens in 2023 going forward is in the womb of time and should be left for time to decide. It is in the context of the political exigencies of the moment preponderated by the alignment and realignment of political forces, and coupled with the imperativeness of playing mainstream politics, that the APC machinery in Akwa Ibom has become massively capacitated and Ekere’s aspiration has received an unimaginable statewide boost. Interestingly, Akpabio, who stood between him and the PDP governorship ticket ahead of the 2015 governorship election, is now in the APC with him. Akpabio joined the APC after the structures of the party had been clinched by Ekere, Umanah, Senator John Akpan Udoedeghe, a former minister and others whom he met on ground. And there are feelers that Umanah, a strongman of Akwa Ibom politics and current Managing Director of the Oil and Gas Free Zone Authority, has since decided to throw his weight behind Ekere. 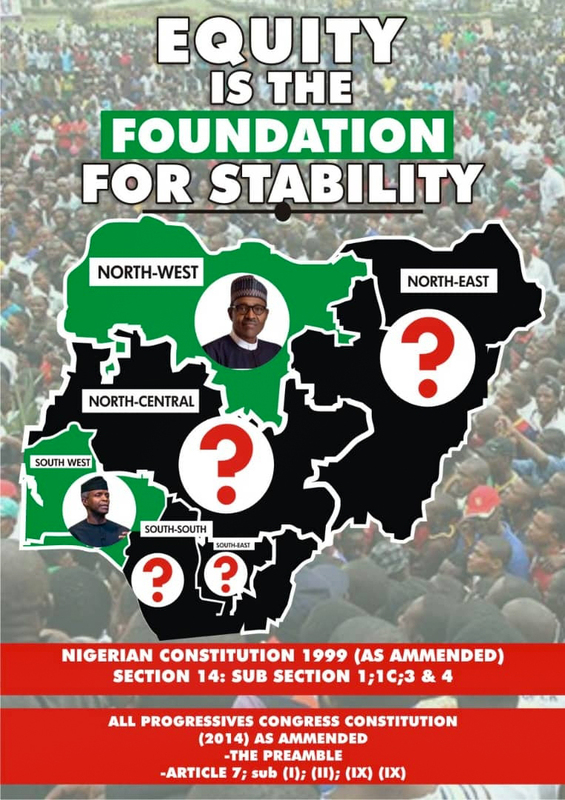 In the circumstance of the political alignment and realignment of forces, the former governor, Akpabio, who is currently a senator, is likely to have been saddled with a fait accompli in Ekere, who, according to feelers has been able to build pervasive political structures in the nooks and crannies of the state. As current managing director of the Niger Delta Development Commission (NDDC), Ekere has done very well for Akwa Ibom State and in deed the entire region in just 20 month of taking charge. Political analysts say that presiding over the Commission with an annual budget of over N400 billion and a tenure of four years with an option to renew for another term of four gives him greater personal advantage than the murky waters of state politics. But a close associate says, Ekere’s politics has never been about him but the burden of responsibility for transformational leadership that benefits the greater number of people and communities across his Akwa Ibom State. Which is what he has demonstrated so far at NDDC. While the Commission under his leadership has judiciously deployed its annual budget to intervene in the nine NDDC states in line with its mandate, it has also taken steps to address a perceived injustice against Akwa Ibom, the leading oil producing state in the country. At NDDC project distributions are weighted along state oil production quotas. Which means that as the number one oil producing state, Akwa Ibom should enjoy the highest number of projects in cumulacumulatve value. Ekere told the press recently that “this was not what we met on ground. 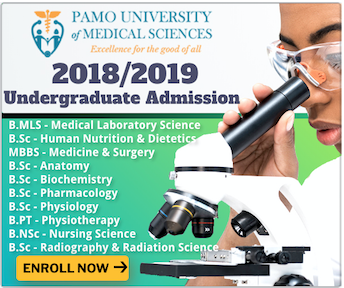 The current Board has been magnanimous enough to redress this.” Which explains why Akwa Ibom is said to be benefitting massively from the current infrastructure development drive of the Commission with more than 400 projects ranging from roads, power, water supply, renovation of classroom blocks, supply of learning facilities, etc. Akwa Ibom is also the centre of an innovative entrepreneurship development hub undertaken in partnership with SMEDAN and a pilot state for the planned region-wide digital learning initiatives in partnership with the a host of technology firms including Digital Learning Institute and Microsoft. Besides, Ekere, who is seen as “governor” of the nine NDDC states in terms of directing and influencing the development narratives in the areas, has, by insisting on implementing the NDDC policy of using local talents for local projects, empowered many indigenes of Akwa Ibom State that a grateful state is now urging him to return home and take charge as governor. 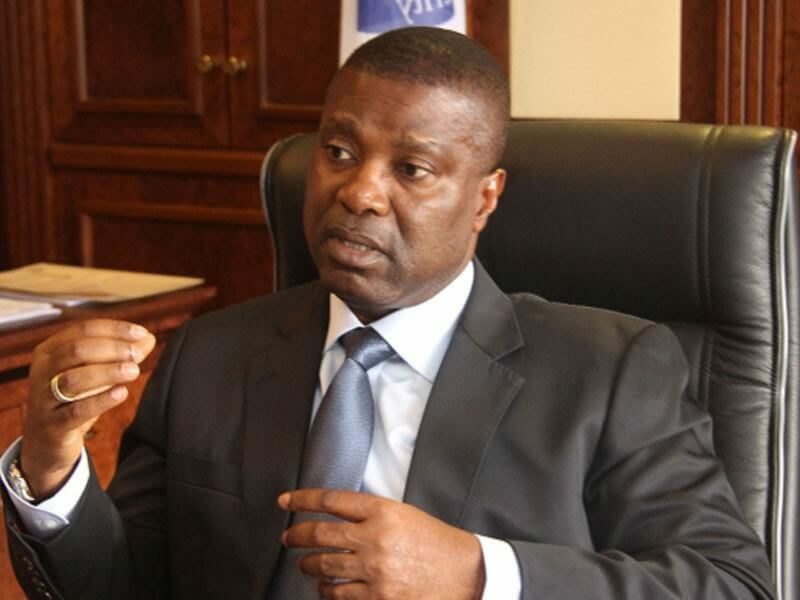 Such is the passion he has unleashed that the state government has become so uneasy with Ekere and the NDDC, turning down requests for official visits and chasing contractors out of sites of NDDC projects. Indeed, the APC is aware that it has an uphill task to dislodge the PDP and Governor Udom Emmanuel in the state. That awareness is panning out well in favour of Ekere who looks good to enjoy the overwhelming support of APC stakeholders in the state. It is possible that he may emerge as a consensus candidate in the interest of a united APC that is expected to go into the general election as a common front in the overall bid to bolster the election of President Muhammadu Buhari in the state. Interestingly, Ekere, who is a native of Ikot Oboroenyin, Edemaya clan, was born on May 29, 1965. If he wins the lection, he will celebrate his birthday on the day he will be inaugurated as governor. Double celebration! He had chaired the Akwa Ibom Investment and Industrial Promotion Cou cil, AKIIPOC, the investment arm of the state government. He was also chair of Ibom Power Company, the independent power generating company owned by Akwa Ibom State. He was recently conferred with an honourary doctorate degree by the Federal University of Technology, Owerri (FUTO). Much more than the honour is the massive support of the people that he would leverage on to split the votes of Akwa Ibom South senatorial zones with Governor Udom Emmanuel. Akpabio is expected to deliver his Akwa Ibom northwest to Buhari and by extension the APC and its governorship candidate. Akwa Ibom Northeast senatorial zone which is angling to produce the governor in 2023 is expected to weigh the situation and decide whether to push for Ekere or Udom in political contemplation that will yield fruits from 2023. Ekere, popularly called ONE, and acronym for Obong Nsima Ekere, attended the University of Nigeria, Nsukka, and graduated with a B.Sc. Honours Degree in Estate Management in 1986. He had attended Regina Coeli College, Essene, Ikot Abasi, and Mary Knoll College Ogoja, Cross River State. He was briefly at The Polytechnic, Calabar, from 1981 to 1982. A Fellow of the Nigerian Institution of Estate Surveyors and Valuers (FNIVS); Registered Member, Estate Surveyors and Valuers Registration Board of Nigeria, ESVRBN; Senior Certified Valuer, International Real Estate Institute, IREI, Minnesota, he began his political career in December 1997. He had contested and won election into the Akwa Ibom State House of Assembly on the platform of the Grassroots Democratic Movement, GDM, one of the five political parties registered under the Abacha Transition. He had before joining politics been a passionate private sector player where he was Principal Partner of Ekere and Associates, a firm of estate valuers and real estate development consultants, which was established in 1993. He had, in 1989, set up Gassons Nigeria Limited, an indigenous anti-corrosion, environmental, fabrication/maintenance engineering company.